Ski school's beginners classes meet at Matterhorn Glacier Paradise lifts at the top of the village, where wide, open runs provide good learning ground. Zermatt's official beginner area (Wolli Park & Eisfluh) is at Sunnegga. Zermatt has all the criteria sought by the expert skier. The 'Triftji Bumps' mogul field, Schwarzsee's steep gullies and various black runs will satisfy even the most advanced, and the yellow itinerary runs provide very challenging skiing. Boarders have the recently re-designed 'Gravity Park' above Trockener Steg with jumps, rails and a pipe. The terrain in all three areas provides plentiful surfing ground for cruising or practising your tricks. Ski run Furi-Zermatt floodlit during season. Special packages for moonlight descents from Rothorn paradise to Matterhorn Glacier Paradise including dinner also available locally (supplements apply). A firm favourite of Inghams guests, this hotel offers high standards of comfort, service and cuisine. The Hotel Perren is a very popular, traditional, family-run hotel with a relaxed and friendly atmosphere. It enjoys a great location close to Zermatt centre and just 5 minutes' walk to the Sunnegga lift. A popular choice with Inghams guests, the Butterfly offers a good standard of accommodation and cuisine, a friendly atmosphere and enjoys a quiet yet central location with quick access to the skiing. A favourite amongst Inghams guests, the Mirabeau is a popular hotel in a prime location, just 2 minutes’ walk from the Gornergrat railway. Situated in the Hotel Ambassador, and in the same style as the hotel rooms, these suites offer spacious accommodation with the added benefit of the hotel facilities. Bed and breakfast is included. A very comfortable bed and breakfast hotel offering excellent facilities, spacious views and wonderful mountain views. 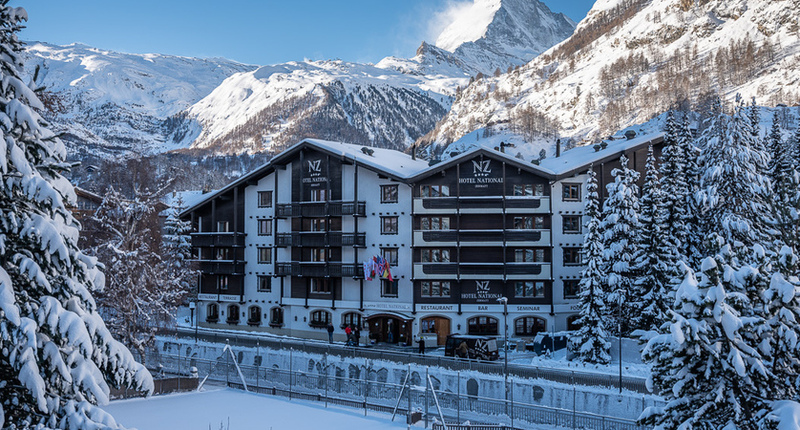 In an elevated position, the Alpenroyal has good facilities for its star rating, including indoor pool and also has enviable views across Zermatt and towards the Matterhorn. The Schönegg is a popular and beautifully furnished superior chalet-style hotel, enjoying superb panoramic views from its elevated position. The Sunnegga lift is 3 minutes' walk away and guests can ski back to the hotel, weather permitting. One of Zermatt’s leading hotels, the unique Hotel Alex enjoys a superb central location and is beautifully furnished throughout, combining the modern and traditional for a luxurious ‘boutique’ feel. 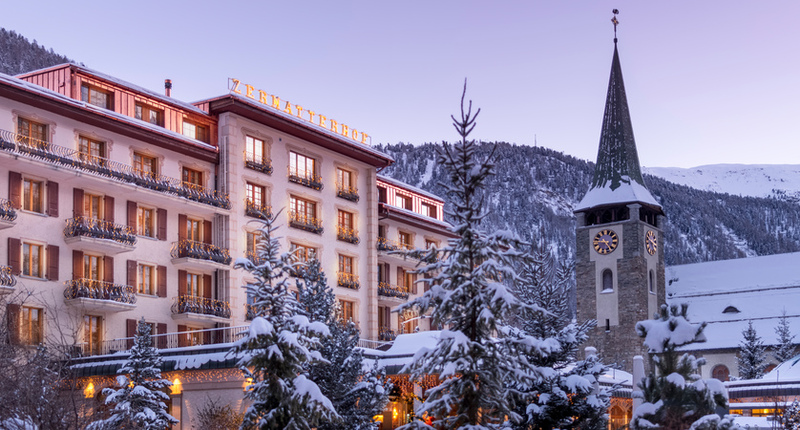 The National’s moto: Pure Swissness, ambience, service, culinary offerings and its overall setting - every last detail adds to your ideal alpine experience. Awarded friendliest hotel in Zermatt for outstanding service. 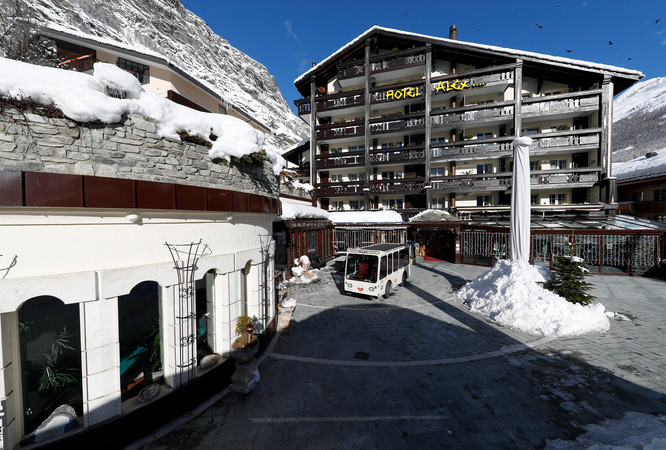 An elegant luxury hotel, offering a sublime setting and superb facilities in the heart of Zermatt. Built in 1879, this historic hotel offers modern facilities, excellent dining, and warm service. Rail from the UK and Self Drive available.